It’s been quite an eventful 10 days for the West Virginia football program. First, Neal Brown was introduced as West Virginia’s 35th head football coach. Brown wasted no time in naming the majority of his assistant coaches and immediately hitting the road recruiting. Not only was Brown looking to confirm the commitments of the players who signed in December, but was also looking to complete the class. Enter Austin Kendall from Oklahoma. 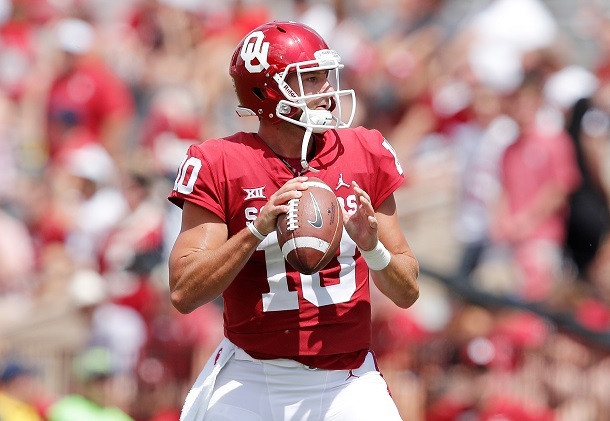 The Sooners backup quarterback last season became a national story when word leaked that Oklahoma was blocking him from becoming immediately eligible at his top choice…WVU. That story was met with massive criticism both locally and nationally. We see these type of stories far too often. A player wants to transfer. The school wants to limit options for said player based on which team(s) may be on the upcoming schedule. It never goes well for the school. John Beilein tried this with Spike Albrecht a couple of years ago before relenting and allowing Albrecht to go where he wanted. Even Nick Saban foolishly tried to restrict a graduate transfer last off season. Alabama not only relented, but the SEC put a rule in place to prevent a school from trying the same thing in the future. And so it was with Kendall. After a few hours of getting pounded on the public relations front, someone at the University of Oklahoma had enough sense to the tell the head football coach that he was wrong and that the school would be waiving any restriction they had on Kendall. We discussed this story on the Citynet Statewide Sportsline Wednesday night with the drama unfolding on the air in real-time. Click HERE to watch the segment. It’s really amazing schools still try and do this to student-athletes. It’s especially appalling when the student-athlete is a graduate, as Kendall was. Once someone has graduated from your institution they should be free to pursue their next opportunity anywhere they choose without restriction. Ultimately, Oklahoma made the right decision. Granted they were pressured into making the right decision, but at the end of the day, Austin Kendall was able to commit to West Virginia and become eligible to play beginning with the 2019 season. 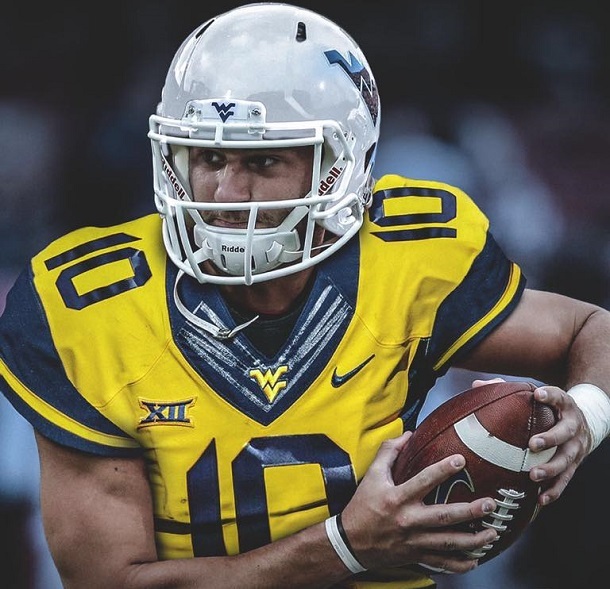 As we first reported on Sportsline Thursday night, Kendall is enrolled in West Virginia’s Online Sport Management Program and will have two seasons of eligibility remaining. Welcome to West Virginia, Austin. What’s going on with the WVU basketball team? Raise your hand if you saw the Mountaineers starting Big 12 play winless through the first five games. Not me. After watching this team struggle through a few non-conference games early this year, I was under no illusion that this would be one of Bob Huggins’ better teams. But, I did not think I would see the start we have seen nor did I think we would see the team stop playing as it appeared to in a 31-point loss earlier this week at TCU. The Mountaineers have dug themselves a significant hole. Missing the NCAA tournament for just the third time since Huggins arrived in Morgantown (12 seasons) seems a virtual lock. A last place finish in the league is possible. Heck, I’ve said multiple times on the air there is no way this team goes winless in league play, but as we sit here today it’s hard to find a game remaining that you could call a sure win for WVU. NOTE: I still don’t think West Virginia will go 0-18 in Big 12 play, but finding four wins on the schedule as analytics guru Ken Pom does in his rankings seems ambitious. Today’s game versus Kansas presents a golden opportunity. No pressure for WVU as the league’s premier team visits the Coliseum. There isn’t a soul who thinks WVU will win today. Yet, KU has really struggled in Morgantown, losing four of the last five games here. The pressure is all on the visiting Jayhawks. The nation’s number seven team can’t possibly lose to a winless WVU team, right? West Virginia is actually in a good spot. Win and we may look back on this day as the day that gave some life to a team that had shown very little for the last month. Lose, but play well and maybe it provides enough of a spark to lead to a win over Baylor Monday night at the Coliseum. Lose and get blown out … well, would it change much? The team would still be winless in the league and staring at a monumental task to to dig out of that hole. Really no different than the situation the team finds itself in prior to tipoff today. It was an embarrassingly bad effort for WVU the last time out. Rarely, if ever, have we seen a Bob Huggins team look like that in back-to-back games. We find out today how much fight this Mountaineer team has left in it. Editor's Note: Top photo illustration from WVU Football Facebook page of Austin Kendall, while middle photo of Kendall vs. Florida Atlantic courtesy of WVU Sports Communications. Bottom photo of Kansas Coach Bill Self and WVU Coach Bob Huggins by Ben Queen of www.benqueenphotography.com.